We are sorry to hear the news of the death of one of our former Presidents. Back in 2009 he recorded his favourite excerpt from a Scott Novel for the Club. "In the three years 2003 to 2006 when, as elected Rector of the University of Edinburgh, I chaired the University Court, I was conscious surrounded by the Raeburn portraits and the Raeburn Room that Principal Robertson and others of the Enlightenment looked down on me with benign tolerance; on the other hand Sir Walter Scott could not conceal his distaste for a Dalyell. This disapproval originated in the frictions of some 150 years before. Scott purported to be a friend of Sir John Graham Dalyell, polymath and zoologist, who had written the Rare and remarkable animals of Scotland and many books on flora and fauna and had indeed been a teacher of Darwin during his time at Edinburgh University. 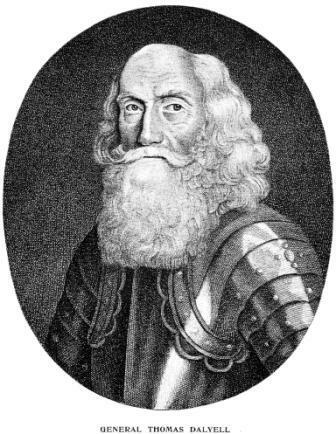 Scott actually had stayed with Dayell at the House of the Binns for some days but subsequently writing quickly doubtless to get Abbotsford out of debt he wanted a villain and 17th century General Tam Dayell would do. Scott was unflattering. He talked about Dalyell as the inventor of the thumb screw who would roast his enemies in the oven at the Binns. The Dalyell family were not amused and told him so. The ultimate insult was Scott's assertion that at least John Graham of Claverhouse had table manners - Tam Dalyell did not".